Hot dog cart business is a lucrative business and a fun way to do. After deciding in putting up your hot dog cart business or hot dog snack house, you will need different hot dog recipes to sell that your customers will surely love especially children and teens. Here are some quick and easy hot dog recipes for your hot dog business. 1. Fire the grill to medium heat. Place the hot dogs on the preheated grill. 2. Turn the hot dogs with a tongs or a turner, not with a fork, because puncturing the casing allows the flavorful juices to escape. 3. Keep turning every couple of minutes (for about 5 minutes), until the hot dogs look dark and have grill marks. 4. 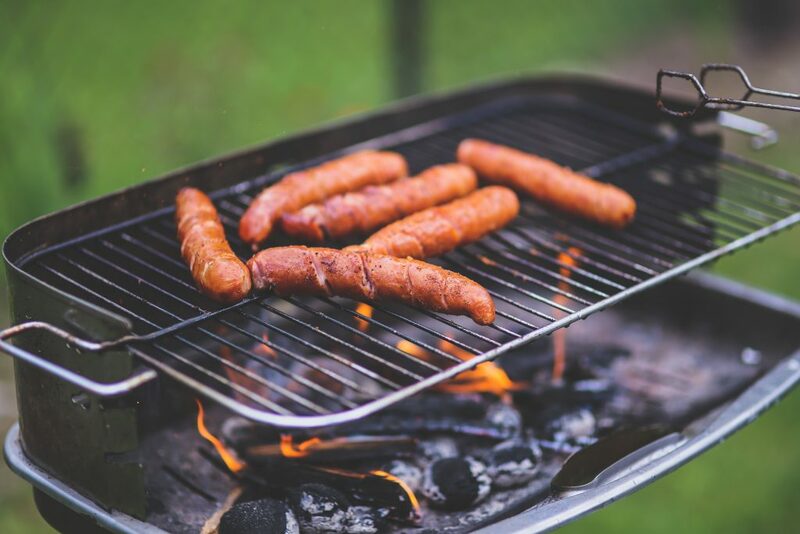 Once cooked, garnish hot dogs with these toppings of choice: mustard, steamed or raw onions, relish, chili, shredded cheddar cheese or celery salt. For a summer twist, top with fresh chopped tomatoes, basil and parsley. Note: You can also cook your hot dogs instead of grilling them. Cooked sausage, like hot dogs, need only be heated since it was cooked thoroughly during processing. This can be done in a variety of ways. To steam precooked hot dogs, bring a pan of water or beer to a boil. Remove the pan from heat and add sausage. Cover the pan and let it stand 10-15 minutes. It is not advisable to add hot dogs to vigorously boiling water because it may cause them to split. Hot Dogs also can be baked in casserole dish, microwaved in a wet paper towel, or pan-fried. 1. Crumble the ground beef into a large skillet over medium-high heat. Cook and stir until evenly browned. Drain off grease, and reduce the heat to medium. Stir in the sloppy joe sauce, and bring to a simmer. Add the hot dogs, and cook until heated through. 2. Place hot dogs into buns and cover with the sloppy joe mixture. Eat with a fork, or use just a little bit of the sauce and eat like a regular hot dog. 1. In a medium skillet, over medium heat, brown beef and onions, breaking up beef into small pieces. Drain fat from skillet. Reduce heat to low. 2. Stir in tomato, Worcestershire and hot pepper sauces, chili powder, salt and pepper and sugar. Simmer for about 10 to 12 minutes, stirring occasionally. 3. Place cooked hot dogs into toasted buns. Ladle 1/4 cup chili sauce over each hot dog. If desired, top with cheese. 1. Preheat an outdoor grill for medium-high heat. Lightly oil grate, and set 4 inches from the heat. 2. Place the bacon in a large, deep skillet. Cook over medium-high heat until evenly brown. Drain on paper towels. 3. Place hot dogs on grill; cook until browned, 5 to 8 minutes, turning once, or until done to suit your taste. Lightly grill hot dog buns. 4. To assemble sandwiches, place a slice of cheese and bacon on each roll. Add a hot dog, top each with 1 tablespoon barbeque sauce, or desired amount, and red onion. 1. Combine ingredients and cover. Chill at least 30 minutes before serving. 2. NOTE: For hotter flavor, double portions of hot sauce and cayenne. 1. Place hot dogs pieces in a food processor bowl fitted with the metal blade. Use a pulsing action to mince hot dogs. 2. In the slow cooker, stir together minced hot dogs, tomatoes, sour cream, onions, red pepper sauce and pepper. Cover and cook on the HIGH setting. 3. Cook for about 1½ hours or until the sauce is steaming. 4. Slowly add cheese, ½ cup at a time, stirring constantly to ensure cheese melts after each addition. 5. Reduce heat to LOW. Serve warm with tortilla chips or scoops.